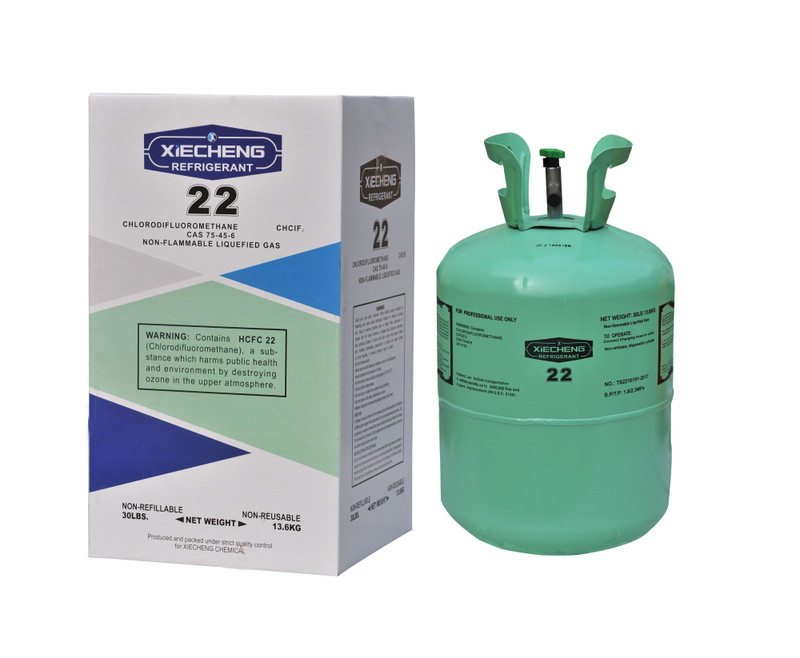 As the most widely used medium and low temperature refrigerant, R-22 is mainly used in household air conditioning, commercial air conditioning, central air conditioning, mobile air conditioning, heat pump water heater, dehumidifier, freeze dryer, cold storage. Food refrigeration equipment, marine refrigeration equipment, industrial refrigeration, commercial refrigeration, refrigeration condenser. Supermarket displays display cabinets and other refrigeration equipment. Difluoromethane can also be used for the production of polytetrafluoroethylene resin raw materials and fire Extinguishing Agent 1121 intermediate, as well as for polymer (plastic) physical Foaming Agent. Looking for ideal Refrigerant R22 Air-conditioner Manufacturer & supplier ? We have a wide selection at great prices to help you get creative. All the Refrigerant R22 Gas are quality guaranteed. We are China Origin Factory of Gas for Household Air-conditioner. If you have any question, please feel free to contact us.